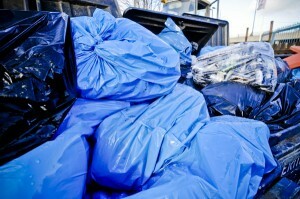 Looking for quick, efficient and affordable commercial waste removal in Bow or Bromley by Bow E3? Well you’ve certainly come to the right place. 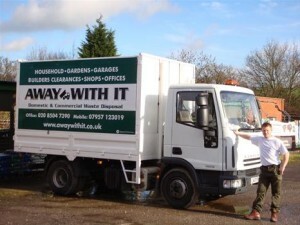 For over 10 years we’ve been providing commercial waste removal Bow businesses rely on for flexibility at great prices. 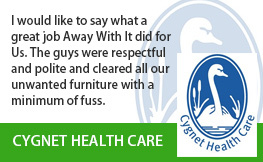 Everyone at Away With It is highly professional, friendly and service minded. 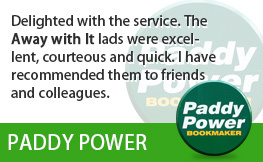 We’re dedicated to providing the best possible service at the best possible price. That’s our promise to you. 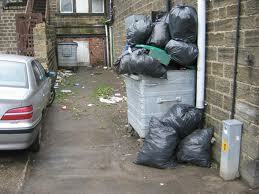 We are experienced in all types of commercial waste removal. 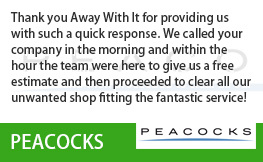 We offer a fast, efficient service which makes a big hole in your business waste without causing too much damage to your budget. 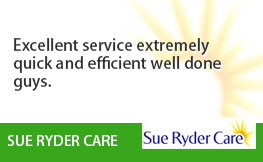 You name and we’ll shift it for you – quickly, efficiently and cost effectively. 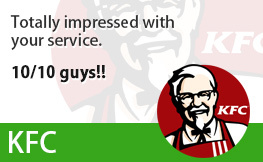 Our contracted clients receive incentives and discounts for an even more affordable service but we are equally happy to work with customers who prefer to remain on an “ad hoc” basis. It doesn’t matter whether you need an individual item removed in a hurry or have multiple loads on a daily, weekly or monthly basis. We have the perfect solution for your requirements. We do have same day services available for those emergency jobs. If you need something shifting quickly from the Barkingside IG6 area then you know who to call. 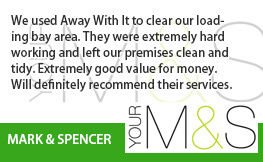 Want to know more about how we can save you time money and hassle with commercial waste removal in Bow E3? 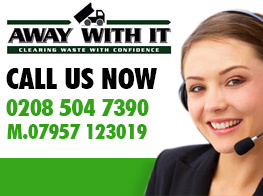 Just give us a call on 0208 504 7390 or 07957 123019 and we’ll happily discuss your requirements for commercial waste removal Bow E3 with you. Alternatively, fill out our handy online form for a quick, no obligation estimate.